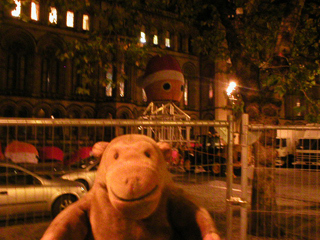 "If they leave it like that it'll just scare people"
As Mr Monkey scampered through Albert Square on the way to Urbis, he stopped in amazement to see a strange giant head on a frame. After thinking a little he decided it was probably part of the town hall's Christmas decorations. 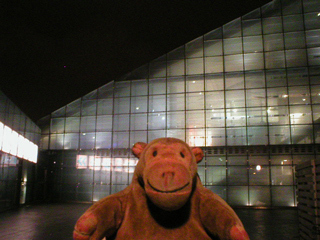 Then he carried on and waited outside Urbis until the doors opened.